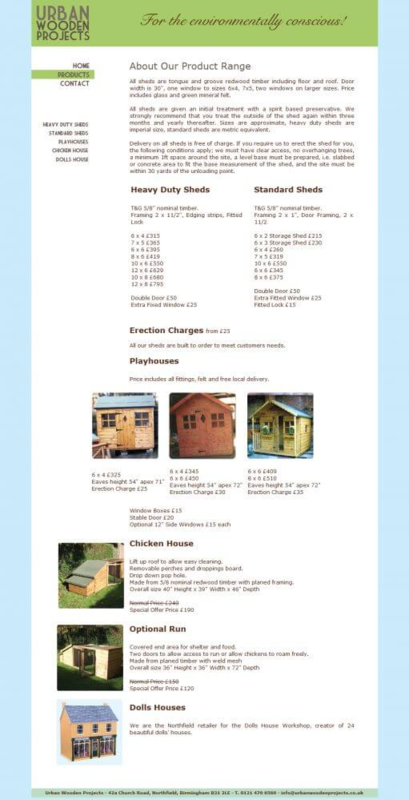 Development of a website to advertise products for a local shed manufacturer. 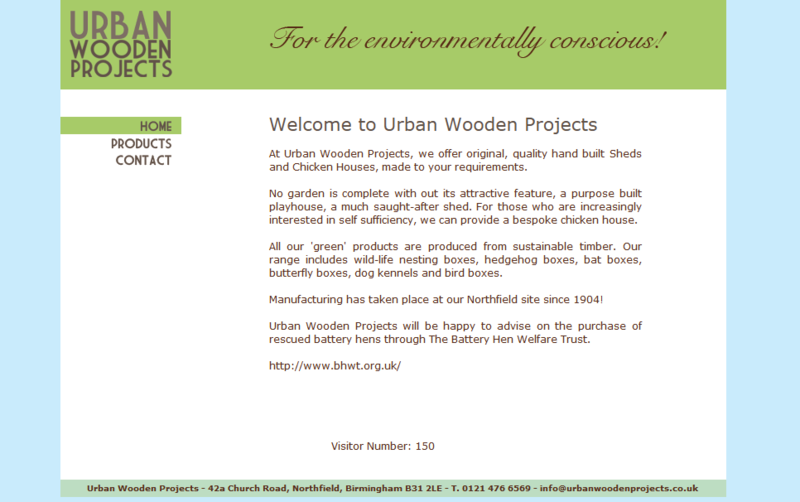 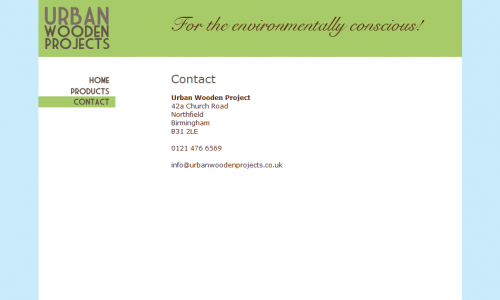 Urban Wooden Projects was a small company based in Birmingham that sold hand built sheds and chicken houses. 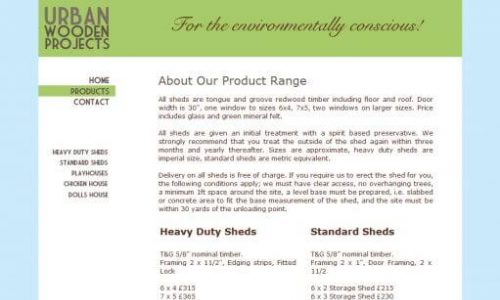 They wanted a website to advertise their products and give information about the company. 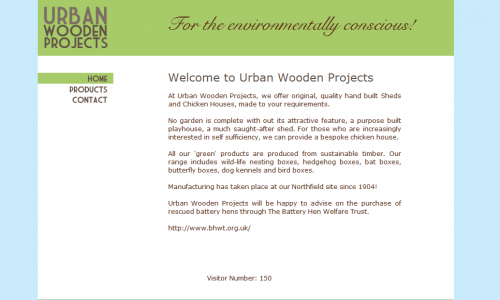 The site was a basic 3 page website with a home page, products page, and a simple contact page. 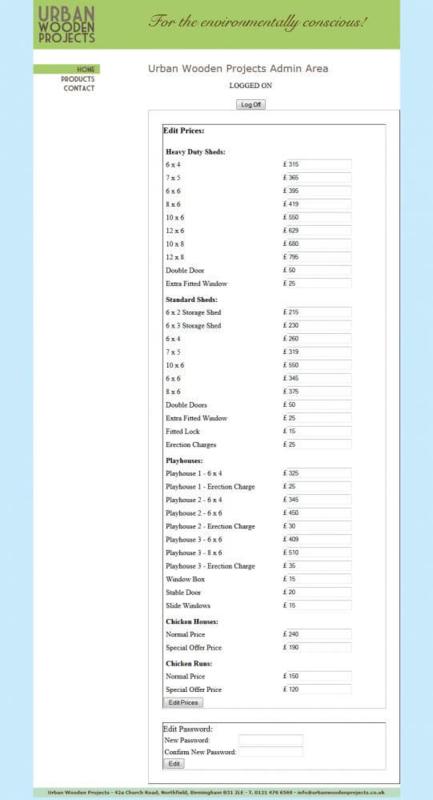 There was also an admin area allowing the client to update prices for all their products as required. 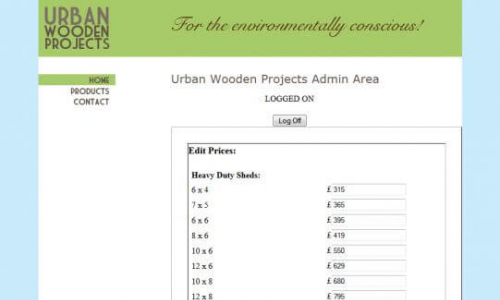 The site was written in PHP and due to server restrictions the site content was stored in flat text files rather than using a database. 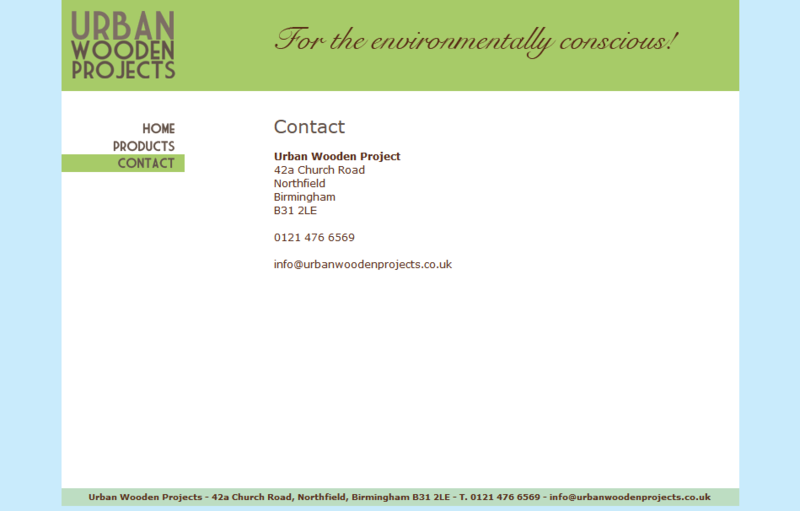 This was the second site I built during my time of self-employment, it was designed by Dan Sharp then coded by me.